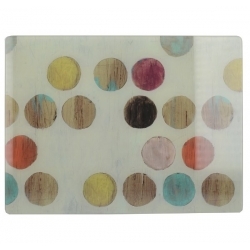 Creative Tops branded glass worktop saver board with rectangular shape, glass material with inside print, and four small slip resistant moulded feet on the base. The board is heat resistant up to 150C, features tough, durable and hygienic surface which resists marks and odours, and is ideal for placing hot dishes on, chopping vegetables, serving cheese, and rolling pastry. 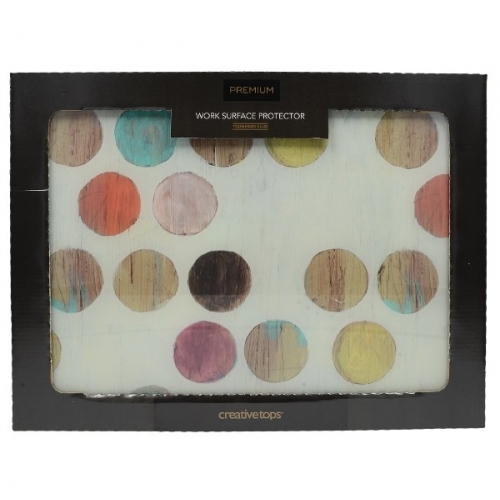 It features bright colours such as turquoise, yellow and orange combined with a wooden textured effect.